Expedia has some outstanding Tashkent vacation packages. Bundling your bookings is one of the easiest ways to save time and money — and get your journey off on the right foot. Smart jetsetters can gain savings of up to 40,450 YEN* by getting a package deal on Expedia. Click through our global database of more than 400 airline partners and 321,000 properties worldwide. Too many to select from? Don't worry — we can help you decide! 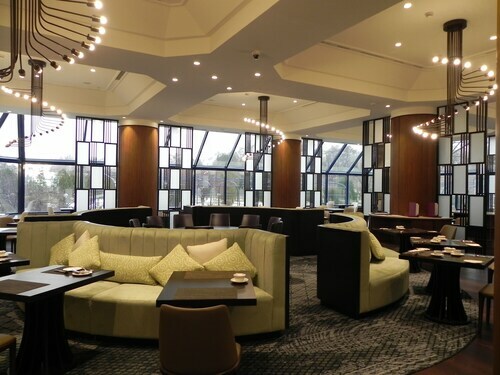 Feeling excited about your trip to Tashkent? Need some recommendations about what to do when you arrive? That's where we can assist! History has many lessons to teach. Drink in the knowledge and gain an insight into times gone by at History Museum. Visitors in this destination are spoilt for choice. History has endless lessons. Soak up the knowledge and learn from times past at Amir Timur Museum. Still got some time to spare? Money burning a hole in your wallet? Ferret around for peculiar keepsakes and score a few choice bargains at Chorsu Bazaar. 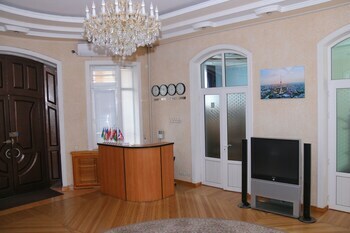 With 14 accommodations in Tashkent, you won't have any troubles locking in a room. Book one right now and get ready to experience Uzbekistan's capital city. Expedia is the home of the greatest cheap vacations and luxury getaways. 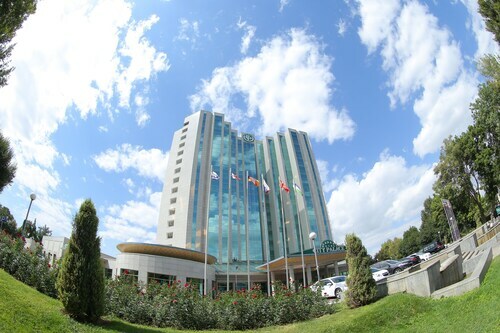 Higher-end options such as the International Hotel Tashkent (107A Amir Temur Avenue) and the Lotte City Hotel Tashkent Palace (56 Buyuk Turon Str) are sure to charm even the most discerning traveler. 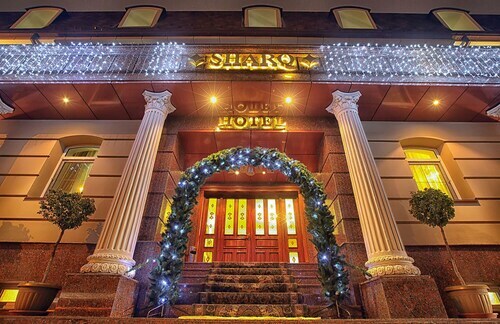 The Miran International Hotel (4 Shakhrisabz Passage, Mirabad District) and the Shodlik Palace (Pakhtakorskaya Street 5) both have decent ratings if you'd like something less expensive. Go through security, board the aircraft, cram your bags into the overhead locker and get comfy! Your exciting trip to Tashkent is just a plane ride away. After coming in to land at Tashkent International Airport (TAS), you'll find yourself about 2 miles (3 km) from the central areas. 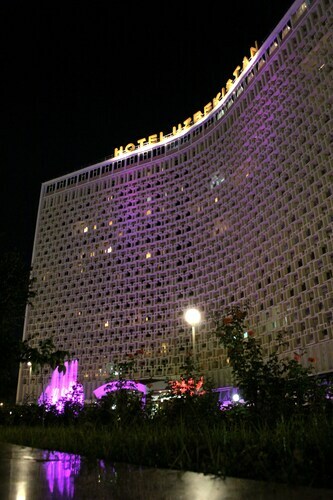 Located in the heart of Tashkent, this luxury hotel is within a 15-minute walk of Tashkentland and UzExpoCenter. Tashkent Tower and Aqua Park are also within 1 mi (2 km). 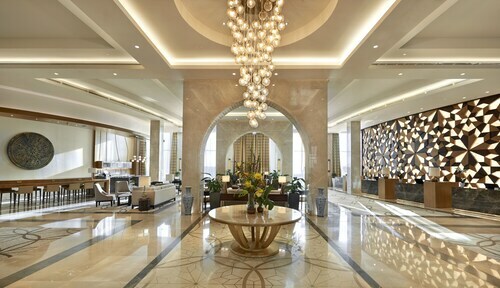 Located in the heart of Tashkent, this hotel is within a 5-minute walk of Navoi Opera Theater and History Museum. Tashkent Galley of Modern Art and Amir Timur Museum are also within 15 minutes. 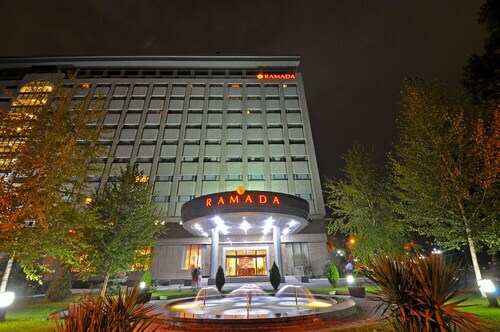 Situated in Tashkent, this luxury hotel is within a 15-minute walk of Amir Timur Museum, Amir Timur Monument, and Tashkent Galley of Modern Art. History Museum and Navoi Opera Theater are also within 1 mi (2 km). 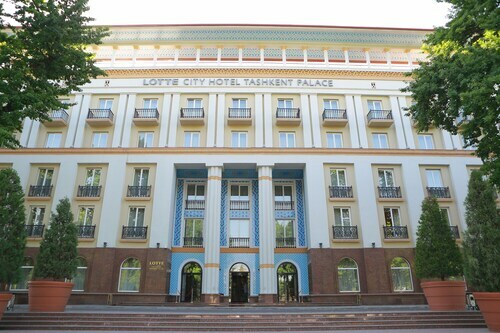 Located in the heart of Tashkent, this hotel is within 2 mi (3 km) of Navoi Opera Theater, History Museum, and Friendship of People's Palace. Tashkent Oliy Majils and Tashkent Galley of Modern Art are also within 2 mi (3 km). Located in the heart of Tashkent, this hotel is within a 10-minute walk of Amir Timur Museum and Amir Timur Monument. Fine Arts Museum of Uzbekistan and History Museum are also within 1 mi (2 km). Located in the heart of Tashkent, this hotel is within 1 mi (2 km) of Navoi Opera Theater, History Museum, and Tashkent Galley of Modern Art. Independence Square and Fine Arts Museum of Uzbekistan are also within 2 mi (3 km). Located in the heart of Tashkent, this luxury hotel is within a 10-minute walk of Amir Timur Museum and Amir Timur Monument. Tashkent Galley of Modern Art and History Museum are also within 1 mi (2 km). 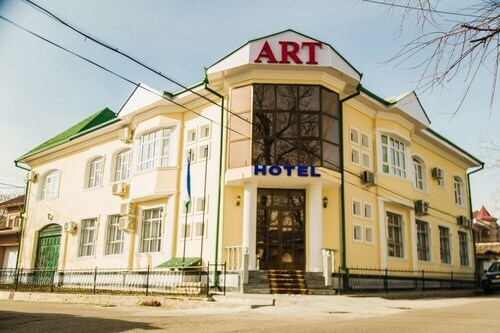 Located in the heart of Tashkent, this hotel is within 1 mi (2 km) of Tashkent Galley of Modern Art, Independence Square, and History Museum. Amir Timur Museum and Navoi Opera Theater are also within 2 mi (3 km).